would like to buy an air graver but I need to know if I need to also purchase both foot controllers. One with regs. etc for compressed air and another for use with compressor. At home I may want to use compressor but am buying for the portability of compressed air. Hi Dexter, Do you meant one for co2 and another for compressed air? If so, you could just get the one for compressed air. 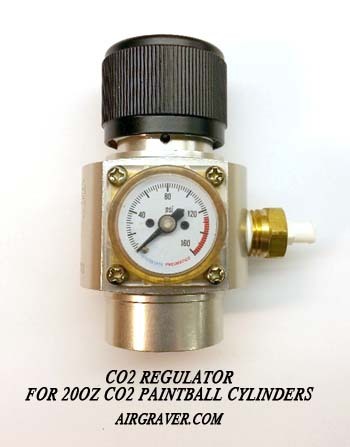 And then pick up the $82 CO2 Paintball regulator and treat it as your air compressor by connecting it with the hose that comes with the foot controller for the compressor over to the dual air regulators. You'd need these two items. I'm wanting to buy the artisan and foot control for now. I'd like to use a small 15 cu foot co2 tank. Can I use either compressed air from compressor or the output of a co2 regulator to input of your double regulator assembly? I'm wanting to set-up the order to go out on Nov 14th so that pay pay pays you on 15th when I get it, then since thats after my cc cycle date I should have a while to pay the bank. can your order fulfillment dept ship it on nov 14th if I put a note in the "enter additional information about the order here" field? I'm wanting to buy the artisan and foot, Idle adjust and double regulator control for now. I'd like to use a small 15 cu foot co2 tank with regulator. I also want to have the option to use a compressor. 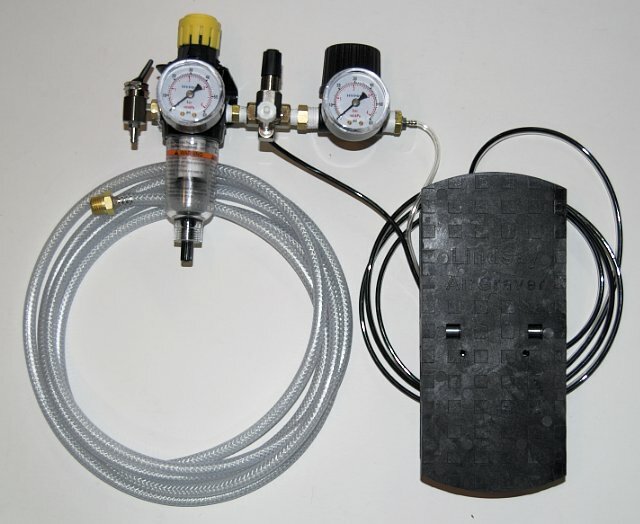 On your foot control idle adjust, can I run the braided clear hose either from a co2 regulator or compressor? If so I want to place an order now. I'm wanting to set-up the order to go out on Nov 14th so that pay-pal pays you on 15th when I get it, then since thats after my cc cycle date I should have a while to pay them for it. Hi Rick, I'll send you a quick email.